The Disease and Disorder Class is an in-depth journey of learning why the body creates dis-ease from an intuitive perspective. 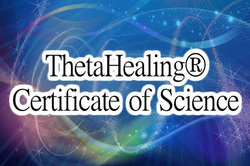 The ThetaHealing™ practitioner will be taught an in-depth understanding of disease from an intuitive perspective. How Feelings, Emotions, Beliefs and Programs influence how we behave and have dramatic affects on the body’s well being, even on a cellular level. Includes : ThetaHealing® Disease & Disorder Book and Practitioners Manual and Practitioners Certificate. July 15-26, 2019. Newmarket, Ontario. 9:30 a.m. - 5:00 p.m. Monday - Friday. Weekend off.